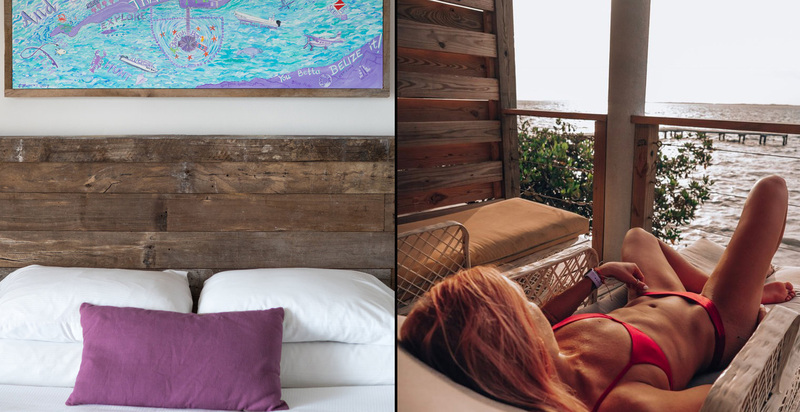 Beautifully located, our two Oceanfront Cabanas have spectacular ocean views, en-suite baths, king-sized beds, and lounge chairs on the patio. 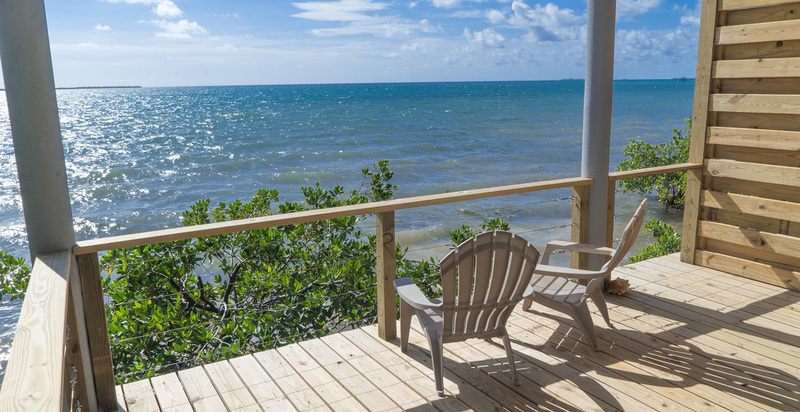 Oceanfront Cabanas have air conditioning, so you can be fully comfortable in your island home. If your perfect week is lounging on the beach, eating buffets and spending lots of time in your lavish suite, we’re probably not the resort for you. 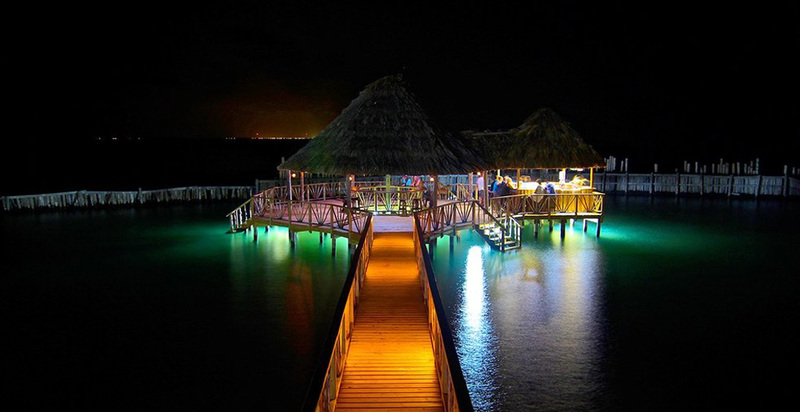 Thatch Caye Resort offers adventure and island fun in a barefoot casual environment. This is a special place offering incredible experiences that you cannot find anywhere else. 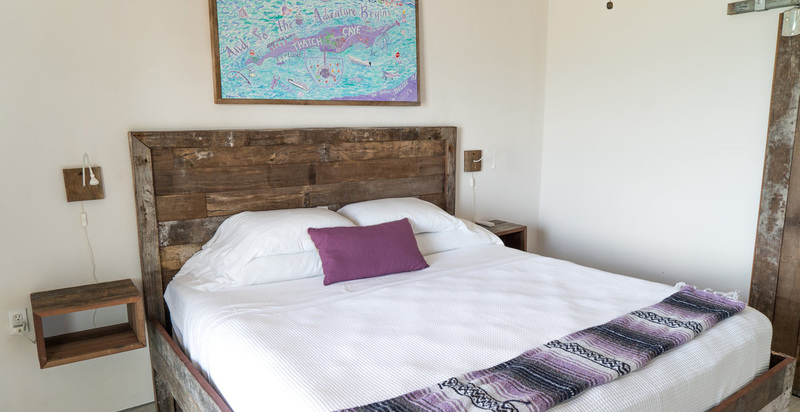 Our accommodations are breathtaking with a rustic Belizean feel, but only include the necessities, unlike your typical luxury hotel suite. You can find the TV, coffee and wifi in the Coco Lounge. 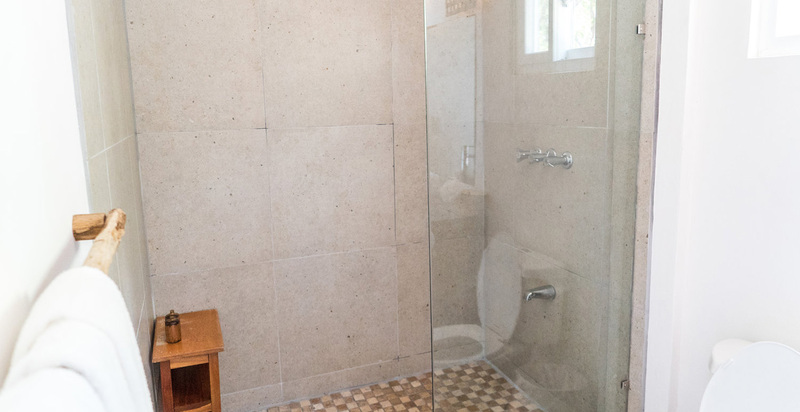 We encourage community and wouldn’t be surprised if you leave with a few new friends. You’ll eat your meals together and be invited to join the daily adventures. It’s perfectly fine if you decide to just hang on the island, but we will be going snorkeling, diving, fishing, etc. every day. 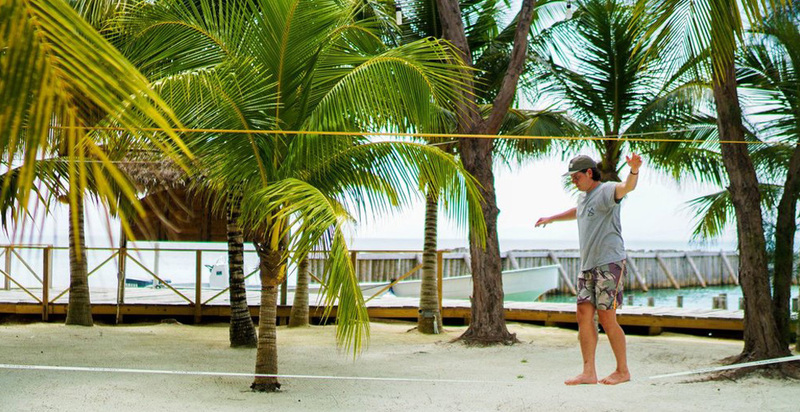 The island is limited to 30 guests at a time, so prepare for a vacation that few ever get the chance to experience. Welcome to your private island. 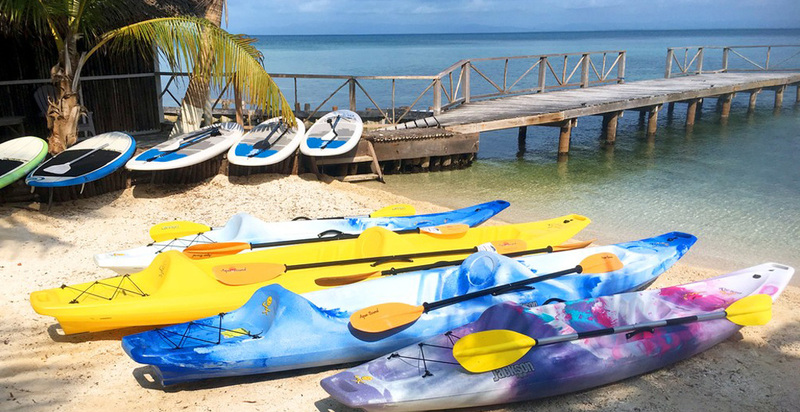 As our guest, you enjoy the exclusive use of our kayaks, paddle boards, snorkel gear, fishing rods, and other non-motorized island toys at no extra charge. 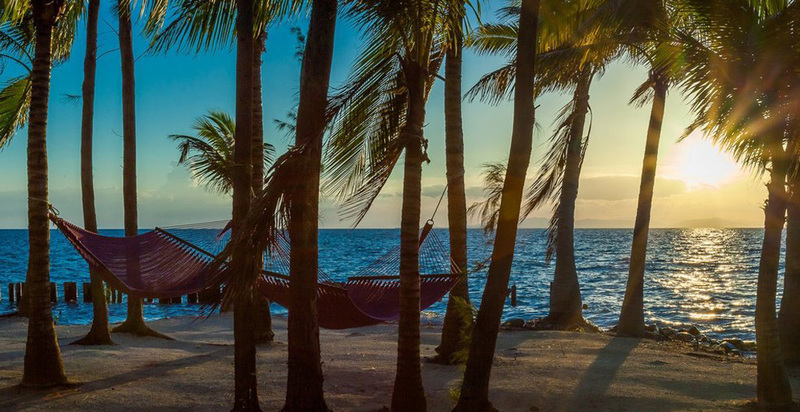 Explore the surrounding waters, relax in a hammock or bask in the sun, it's all included! Our activities staff are happy to get into the water with you to help you get started or to provide tips on your technique. If you are interested in seeing the surrounding waters and islands in a different way, check out our island excursions. You'll love living the island life, trust us. 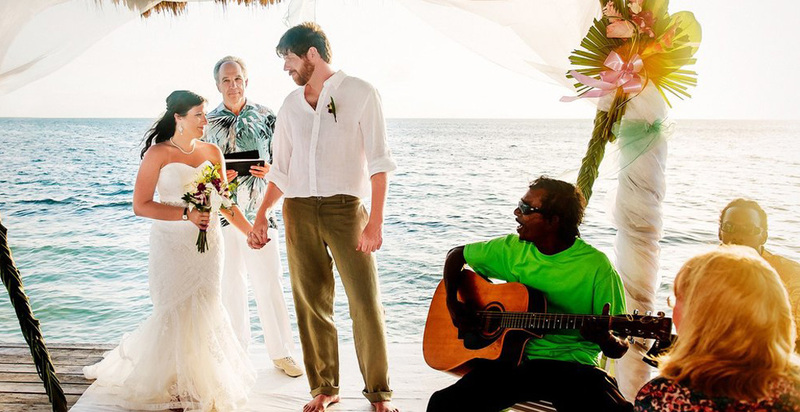 At Thatch Caye Resort, we know how important your dining experience is. 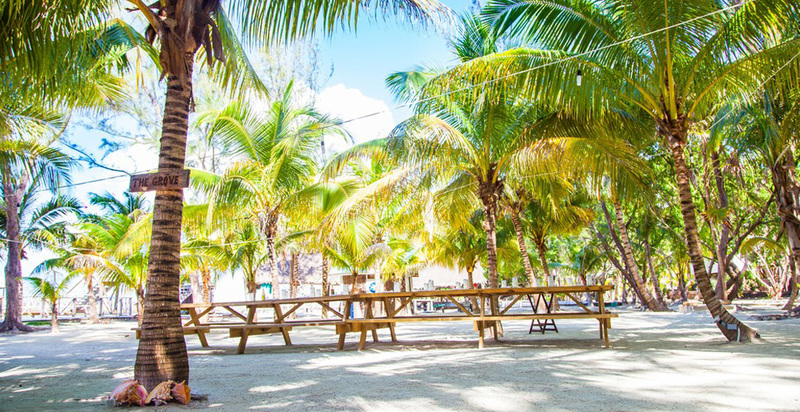 We're on a private island, so you will be dining exclusively with us. 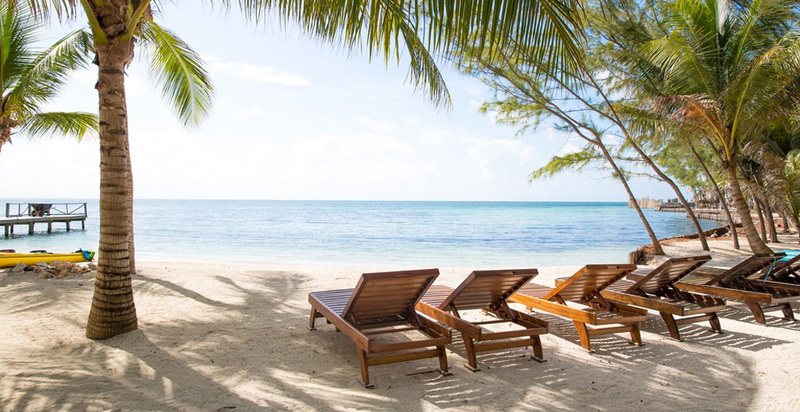 We recommend our all-inclusive, island style package which includes three meals per day, snacks and local alcoholic and non-alcoholic beverages. We hire the best local chefs to ensure we have a wide variety of Belizean and international dishes. 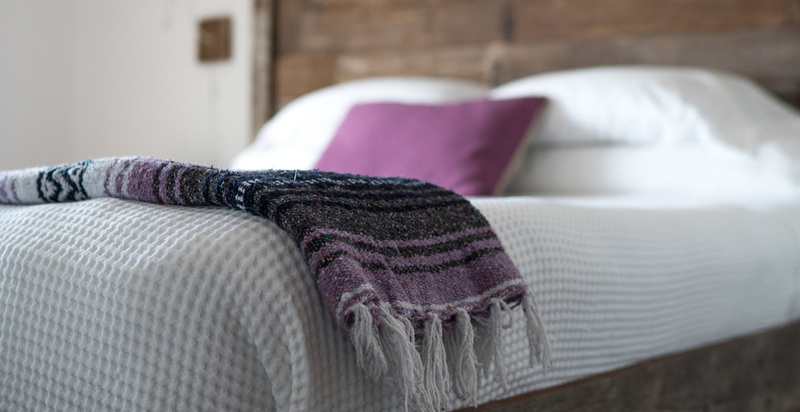 We cater to any dietary needs, just let us know when you book your trip what you require. 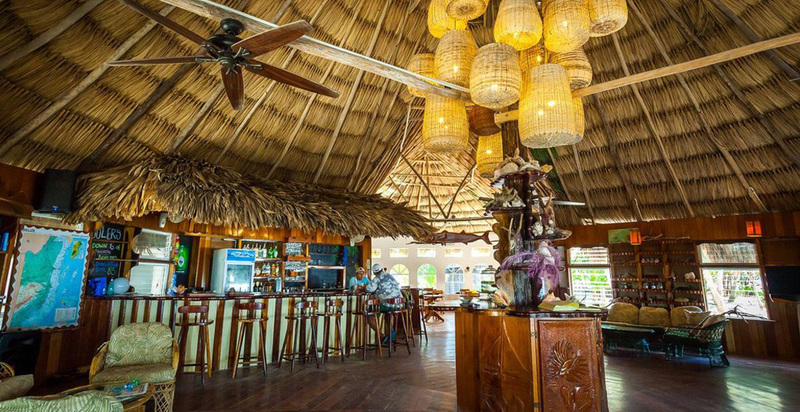 Your typical daily menu consists of one of a fresh cooked, made to order breakfast, a traditional Belizean lunch, afternoon snack and an authentic entree for dinner. This is included with the purchase of any of our packages. Breakfast is served in the Coco Lounge from 7:00 – 8:30 a.m. and includes coffee or tea, fresh juice, fresh tropical fruits as well as items such as eggs, bacon, sausage, fried jacks, toast, and johnny cakes. Self-serve coffee will be available at 6:30 a.m. Lunch is served at The Grove from 12:30 -1:30 p.m. and is typically a light dish such as fish hoagies, wraps and watermelon soup, or a local rice and bean dish. Packed lunches are provided for guests on tours. Happy Hour and a light Afternoon Snack is served at the Starfish Bar between 4:00 p.m. and 7:00 p.m. Ceviche, Nachos, Hummus are all popular choices. Dinner is served at 7:00 p.m. All meals are authentic and made with local ingredients. Dinners typically include a seafood/meat option with vegetarian options upon request. Dinner is served community style in The Grove, under the sun or the stars, weather permitting. 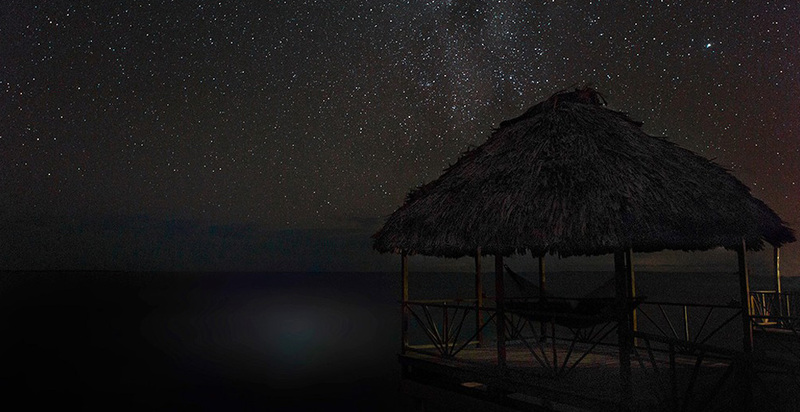 The Coco Lounge Bar will be open from 6:00 a.m. to 10:00 p.m. and adjust if necessary, the Starfish Bar will be open from 1:00 p.m. until close. If you have any food allergies or food preferences please let us know in advance so our cooks will be prepared and our island kitchen well stocked. We serve meals in our breakfast room, covered dining area, or outside under the stars. Before and after dinner, join us for a drink at the bar. 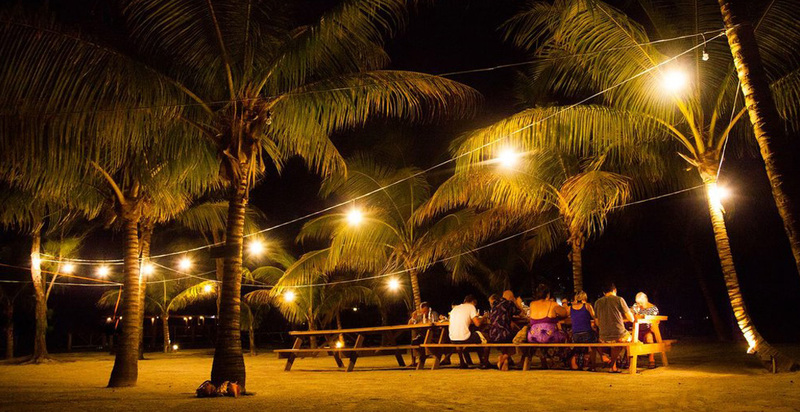 It is perfect for relaxing in the evening and enjoying a tropical drink or a locally brewed beer after a day of adventures. 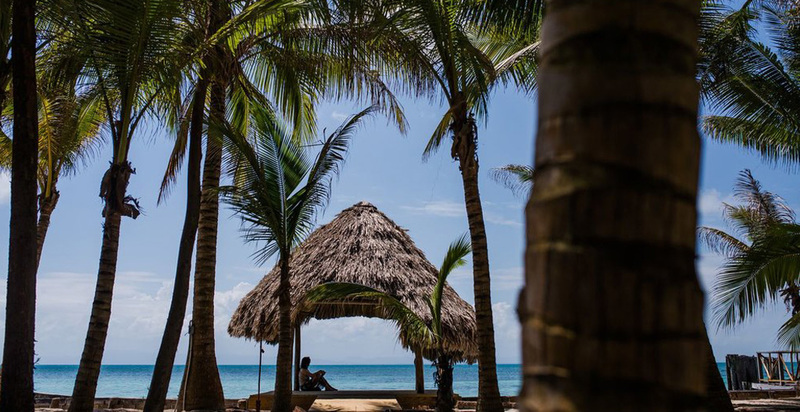 For the free spirits, the wanderlusters, and the adventurous Thatch Caye Island in Belize is the perfect place to journey within. 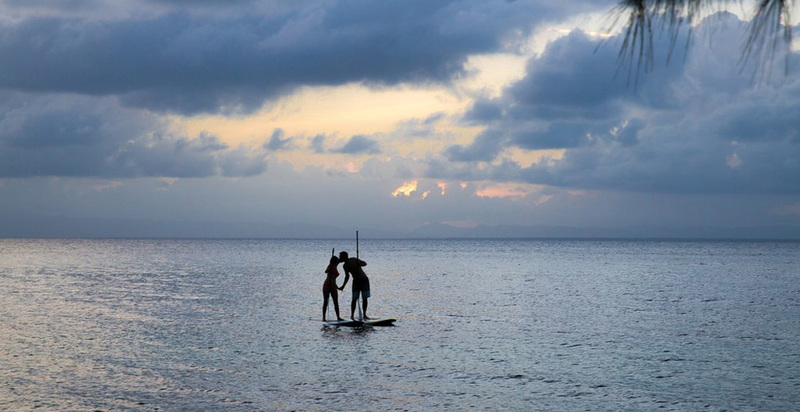 Recharge amidst beautiful natural surroundings, soak up the sun and float out at sea. 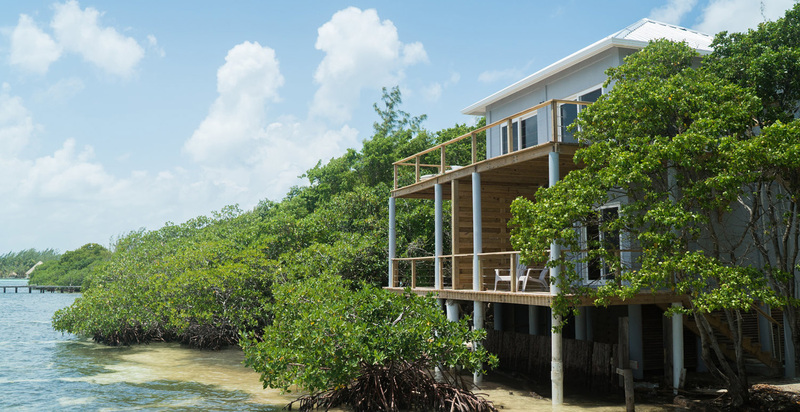 As a sustainable resort in Belize, the island is a sanctuary for wildlife. Sitting on the edge of the second largest Barrier Reef in the world, we coexist with our wildlife companions such as fish, rays, sharks, turtles, starfish, dolphins, manatee, Dewey the island dog, Iguanas, Pelicans, and many other friends. 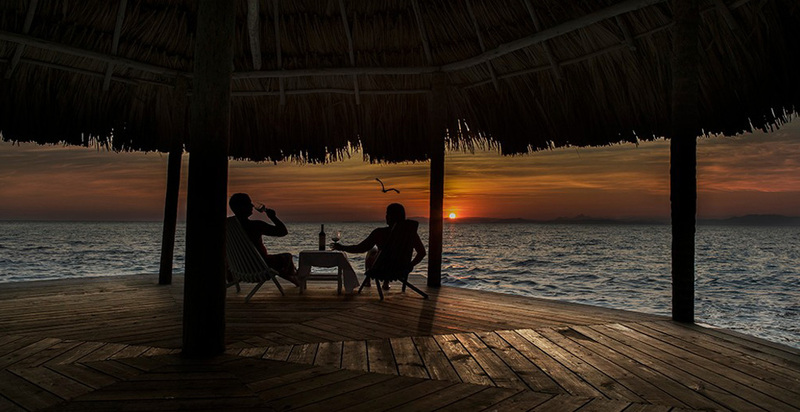 Our private island provides a place where you can seek new meanings of life while restoring the mind-body balance. 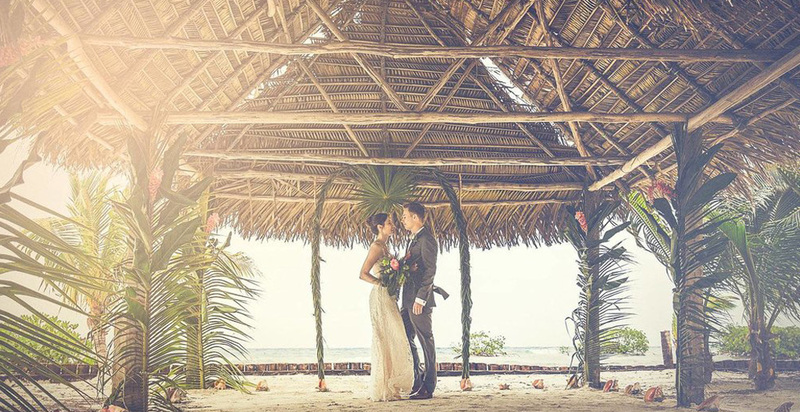 Thatch Caye Resort was built using a variety of organic local materials. We promote an intelligent approach to the use of energy and water. 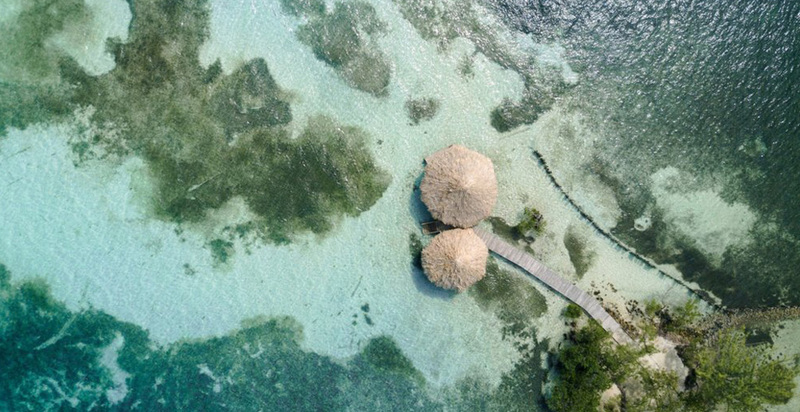 Each retreat at Thatch Caye Resort is handcrafted by the retreat leader and a Thatch Caye wellness expert to offer you a yoga retreat like no other. 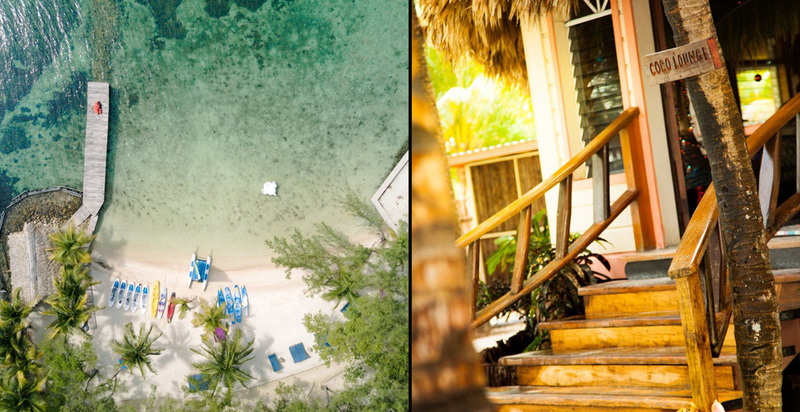 Leave the island retreat feeling zen, bendy and tan! TV and telephone is available for guest use in the Coco Lounge. WiFi is only available in the Coco Lounge and The Grove One.